We live in an "on demand" world and there are currently 10 Billion messages being sent between consumers and businesses every month. 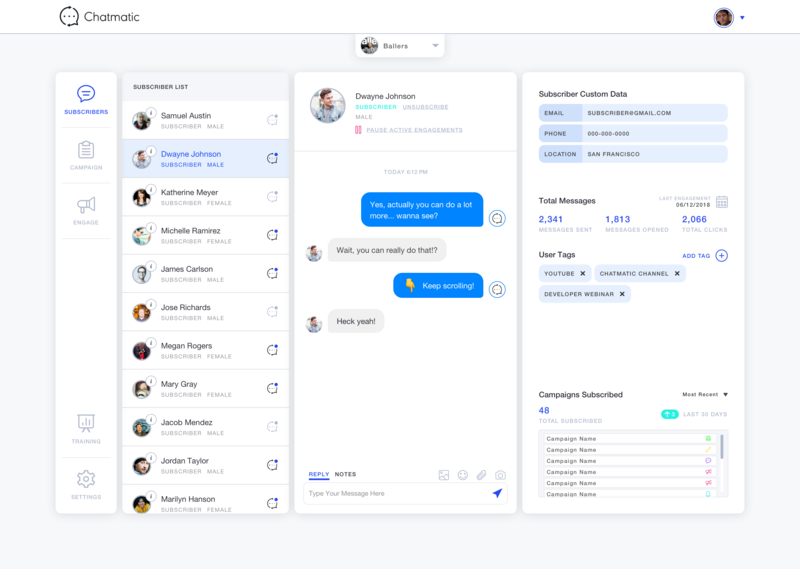 Up to 90% of consumers agree they will shop with the company that responds to them first... let Chatmatic Help You Respond First, Intelligently, And Beautifully. Building Bots That Help You Create New Customers, While Engaging Your Current Customers, Can Seem Overwhelming. We Decided to Change that. Our Simple Interface And Technique Training Will Show You Exactly How To Build Painless And Powerful Messenger Automations In Minutes! They are more likely to shop with a business that they can message first! Bots can create a warm conversation without the need for a live rep.
A picture is worth 1000 words right? Well with Carousels, images, and video you can say a LOT without using as many words! Through Conversational Marketing And Customer Interaction Your Bot Gets More Done. Not Only Are You Able To Learn About Your Prospect, But They Can Customize Their Own Path Through Your Bot To Get EXACTLY What They Are Looking For. We allow you to build online triggers or offline triggers that can start conversations. The Messenger Scan Code is a great way to begin a conversation offline, and create subscribers you can follow up to immediately after! 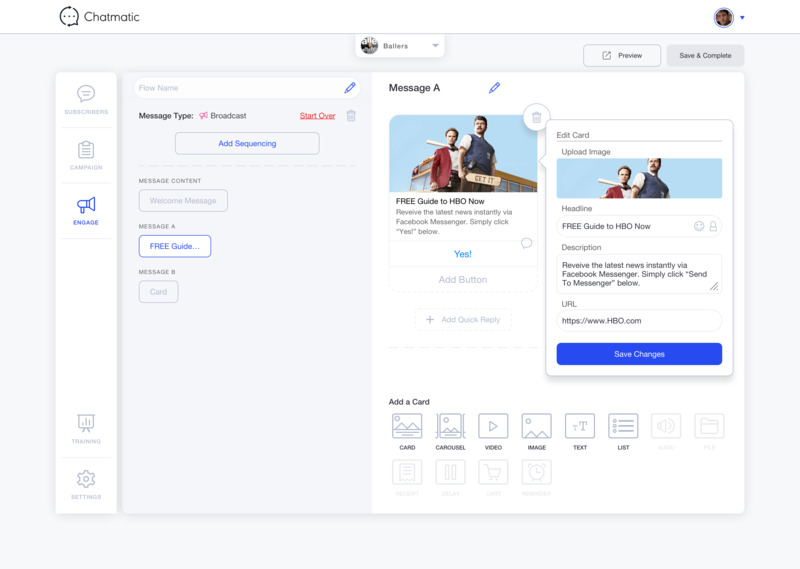 Our Message builder gives you all the power of Messenger in a SIMPLE interface that makes your Messenger experience look amazing! With our built in live chat you can manage conversations from within our platform. Giving you a real time look at every conversation as it's happening. Easily upload Video, Images, Audio, Gifs, or any other sort of media you'd like to make your automations more powerful and friendly.